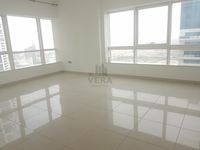 A wide set of apartments for rent in Dubai Marina is now available for all users to check. The apartments are presented and well curated in lists to make it easier for property lookers to find a nice fit. Dubai Marina is a popular mixed use real estate developments that lies in the center of Dubai. It is built a long stretch of 3 km stretch of the Arabian Gulf shore and it is the home for around 120,000 people. The project abounds with many types of apartments overlooking scenic vistas of the sea and Dubai skyline. Reaching Dubai Marina is very easy for public transportation users and motorists since the project lies directly off Sheikh Zayed Road and it has access to Dubai Marina Metro station. A lot of entertainment venues and getaways area available in Dubai Marina, it is also loaded with many fancy restaurants and high end cafes. It’s one of the most popular weekend retreats for Dubai visitors and a hotspot for tourists too. Established in 2003, the project covers a total area of 4 square kilometers and has a large community of different nationalities living together. There is a large array of various apartments for rent in Dubai Marina including studios, penthouses, and duplexes, not to mention the regular apartments. The flats range in space from one-bedroom apartments to five- and six-bedroom apartments, it is big set that will definitely appeal to all clients. Either single professional looking for an exquisite residence in Dubai, small family, or a big family seeking out a well-serviced location in the center of the city, Dubai Marina apartments are definitely worth considering. The development is the home for many high-end hotels like The Ritz Carlton, Dubai, Sheraton Jumeirah Beach Resort, Le Royal Meridien Beach Resort and Spa, and many other facilities. The average price of apartments for rent in Dubai Marina vary according to size and location. 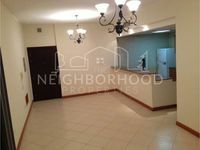 The rental of studio for instance is around AED 48,000 while a two-bedroom apartment is priced at AED 140,000. The project includes a number of residential communities like Elite Residence, The Torch, Princess Towers, Marina Diamonds, Marina Promenade, and many other. All developments in Dubai Marina have access to a wide array of amenities including swimming pools, saunas, steam baths, fitness gyms, and many other. They are facilitate to give residents top enjoyment and total satisfaction with their living experience. Known with their shimmering lights and long height, Dubai Marina towers are very notorious, they compose a unique skyline and add to Dubai’s glamour. 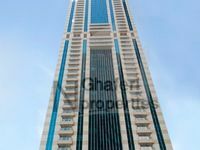 Just Property has a lot to present in Dubai Marina, the website abounds with many apartments for rent in the area varying in all specs. The listings are available for all users to check. Once you find an appropriate listing, call the real estate agent’s number so you can get to know more information about its situation. Renting an apartment has never been easier, it’s just a couple of clicks away.